On Sunday November 13th 2016, in its 14th edition, the BLOM BANK Beirut Marathon witnessed thousands of runners from 99 nations around the world join together to run for a great cause. BB Energy's head of Corporate Communications, Karim Bassatne said of the event: "We are a company built on family values, when a member of my close family (Mariana) mentioned to us the marathon and the opportunity to sponsor a team in aid of the Syrian refugees in Lebanon - whom now account for well over 1.5 million people of the total population - it was a no brainer for us. It's heart breaking to see so many families and children displaced having lost not just their homes but members of their family." The Beirut Marathon Association and BLOM BANK, with the support of 171 outstanding partners and officials, succeeded in delivering the 14th edition of a day that is now considered a national pride. Out of 155 Beirut 542 runners, 150 made it to the finish line completing their FIRST EVER marathon after just 5 months of training! 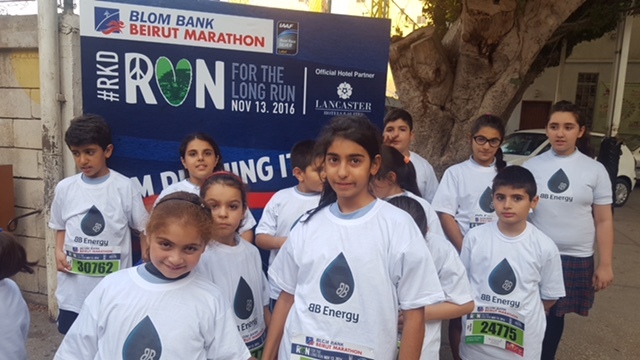 Deenah Fakhoury, associate director of the marathon said, "I would like to mention that the Beirut Marathon has transcended the objective of being the biggest sport’s event in the region to become a uniting national one to include the whole community. It is with the generous support of companies like BB Energy that we are able to include underprivileged children from all the regions within the “Adopt a team “ program, where children are given the opportunity to participate with their transportation back and forth, breakfast and lunch ensured, along with the proper welcome for this unforgettable day." 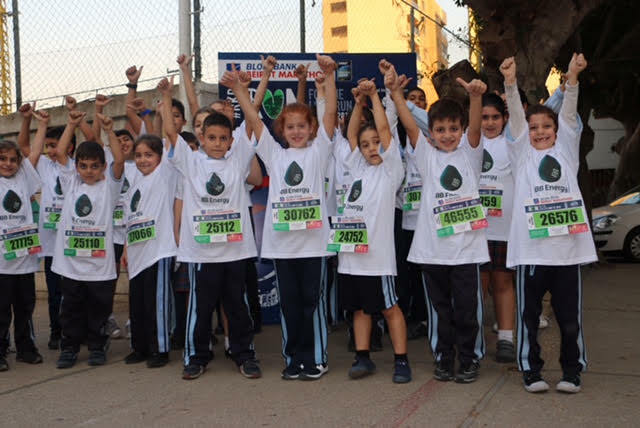 The Beirut Marathon Association has a bigger picture in mind, one that will bring the people of Lebanon together in Unison. This year’s marathon was a continuation of the road towards peace through sports, because after all, peacemaking is a marathon.